OUR PRICE: $37.35 - Join Rewards Get $1 Dance Dollars On This Item! 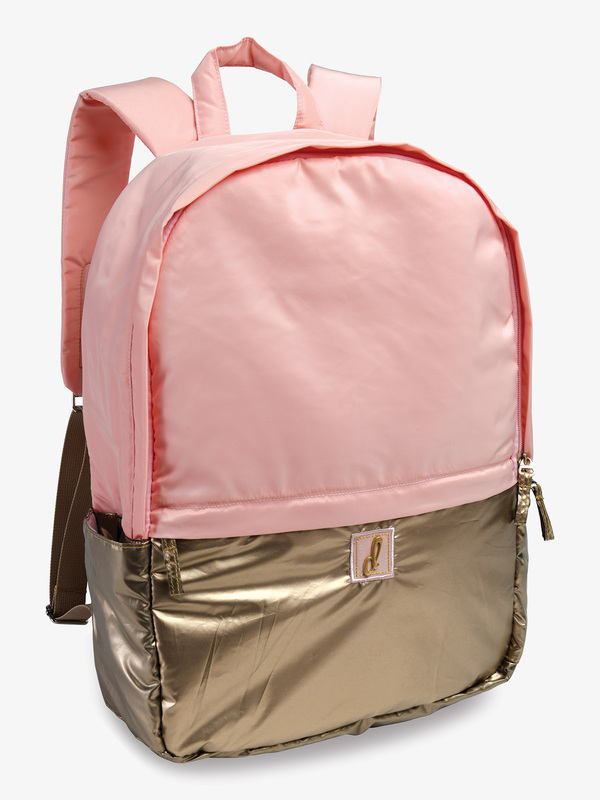 This puffer backpack offers comfort and style for all your class essentials! Backpack features adjustable shoulder straps, a top handle for easy carry, two outer side pockets perfect for cell phones or water bottles, front and back zipper pockets, pink and metallic gold fabric, and a large inside compartment with durable lining. Size:16.5" x 12" x 4.5"